Burlingame is a family-friendly location, with its wonderful and walkable spaces which fit in perfectly to its natural surroundings. You’ll be exploring the hometown of notable people such as starting offensive tackle for the Green Bay Packers, David Bakhtiari, Glee actress Dianna Agron, and artist Percy Gray. Some of the unique things to do include a visit to the Burlingame Museum of PEZ Memorabilia, playing at the Crystal Springs Golf Club, and visiting the Peninsula Museum of Art. 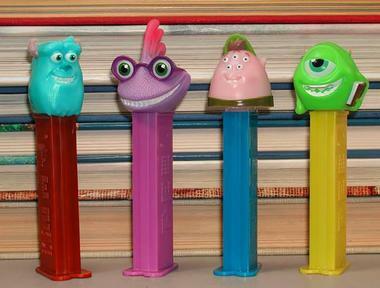 PEZ is a widely recognized candy that has become well known around the world for its fun and unique dispensers. The dispensers are an integral part of pop culture and the varying designs make it a popular collectible for many enthusiasts. It was the result of over a decade of collecting that Gary and Nancy Doss opened the Burlingame Museum of PEZ Memorabilia. The museum opened in 1995 and claims to have one of every type of dispenser ever sold. In addition to that, you’ll also be able to see well-known toys and related memorabilia in the extended Classic Toy Museum. Their exhibit of banned toys is rather interesting and features several toys that were recalled or discontinued for a number of reasons. 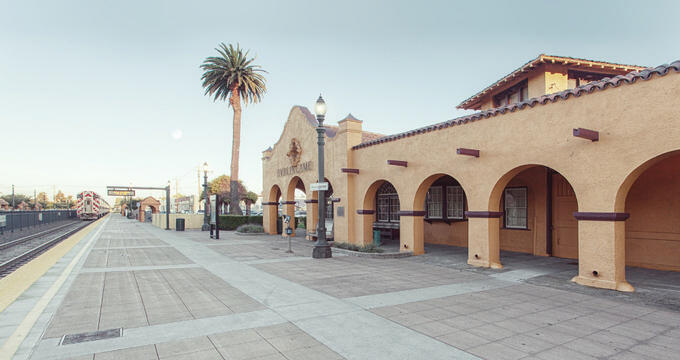 While in Burlingame be sure to stop by the 18,000 square foot complex which holds the Peninsula Museum of Art along with the Peninsula Art Institute. The museum and institute opened in 2013 by Ruth Waters, a working sculptor. It comprises five gallery spaces, thirty working artists’ studios, a classroom, a library, and a store where visitors can purchase art supplies. The exhibits are constantly revolving with some of the most popular shows being Time Machines by John McNamara and Consulting the Oracle by M. Louise Stanley. 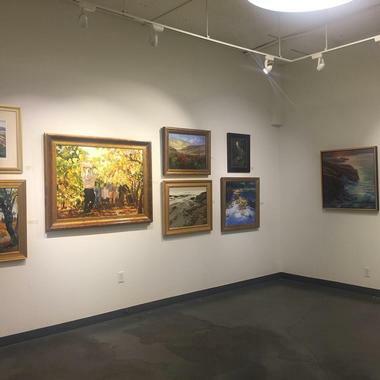 There are several events held at the Peninsula Museum of Art throughout the year including Family Fun Day, Art & Auction, and opening receptions for artists. 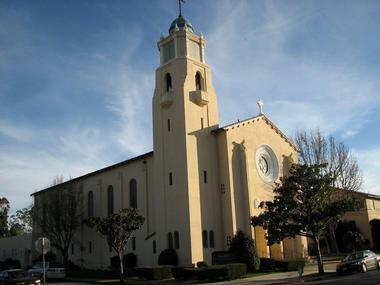 Our Lady of Angels is a Catholic church and parish in Burlingame that is served by Capuchin Franciscans. The religious structure came to be when Capuchins met with a group of Catholics in 1924 and purchased a small building which served temporarily as a church and a cottage which was converted into classrooms. Visitors are invited to visit the Catholic church, stay for mass, study in their School of Religion, take part in a support group, or join them for a Faith Formation and Prayer. Their ten-week program, LANDINGS, is a popular workshop which reconnects people with the Catholic faith. 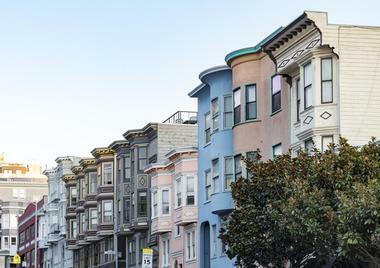 Trinity San Francisco Bay City Tour is a wonderful company that will show you an insider’s view of Burlingame. The tours are run by professionals who have experience and expertise in various cities around California. The private tours are scheduled for you and your party around your interests, whether they be the outdoors, museums, wine, or cuisine. You can choose to celebrate a milestone or have a fun night out with one of their party buses or special sightseeing group tours. It’s the perfect way to see how the locals enjoy Burlingame and all the glorious things there are to see and do. The Crystal Springs Golf Club is a San Francisco golf course which lies on a majestic 32,000-acre wildlife refuge. It was designed by W. Herbert Fowler, a British architect, who made the most of the surrounding views of the 20-mile-long Crystal Springs Reservoir. The championship caliber course is challenging and has a classic 6,515-yard, 18-hole, par 72 layout. You’ll be able to show off your most strategic shot-making skills on the course which follows the natural contours of the valley. 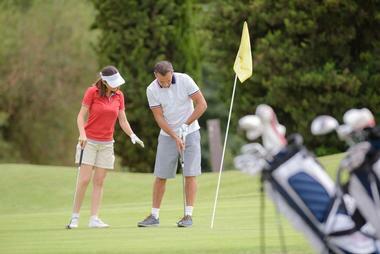 After a round of golf enjoy great food at the Pub & Grill or buy some necessities at their renowned golf shop. Collaborating with the best designers from all over the world, the Lacelet Jewelry Gallery showcases unique pieces from Spain, Israel, Greece, Argentina, Turkey, and the United States. The extensive collection has sterling silver and gold-plated contemporary jewelry for both women and men. The artists and designers use their finely tuned skills on each piece, bringing the gallery a distinct style that makes it different from anything you’ll see anywhere else. If you’re not there to shop, stop by for their jewelry making workshop which is a great activity for all ages and lets you choose from a huge variety of gemstones to create your own bracelet, anklet, or necklace. Providing basic to expert firearms training, Bay Area Firearms offers an array of courses for visitors who want to try their hand on the gun range. Some that you might be interested in include shotgun, rifle, and pistol courses ranging from three-hour workshops to full-length certifications. 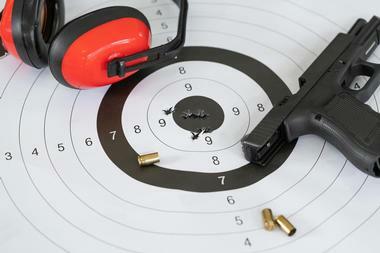 An additional Handgun Safety Certificate class is also available for students that are interested. For families and groups of friends who are interested, they can book private or group classes just for themselves. The instructors are all licensed, trained professionals who have experience in teaching students of all ages. Stella Alpina Osteria is a lovely restaurant that serves Italian cuisine in a rustic and romantic atmosphere. With dark hardwood floors and exposed wood beams, diners will feel like they’re in a cozy mountain lodge in the Alps. Let the welcoming staff take care of you as they suggest food and wine combinations based on your palate; try signature dishes such as the house made potato gnocchi or the veal osso buco over mascarpone polenta. Be sure to keep room for dessert as you feast on popular favorites such as the tiramisu, gelato, chocolate tart, or their lemon panna cotta. Crepevine is a family-owned restaurant that focuses on serving an eclectic array of foods that is sure to satisfy even the most particular diner. All of the items on their menu give focus to being fresh and healthy and are made with conscious ingredients such as cage-free farm eggs, fair-trade coffee, 100% natural beef, and ocean-raised Canadian salmon. 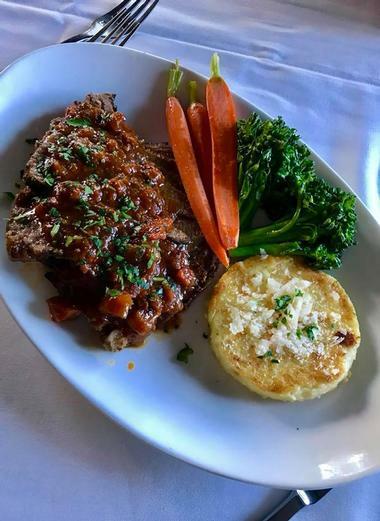 With their food proving to be delicious, the restaurant has been a part of the Burlingame community for nearly twenty years and is a favorite with the families there. Stop by for a hearty breakfast of pancakes, French toast, crepes, and eggs of all kinds to start your day right. 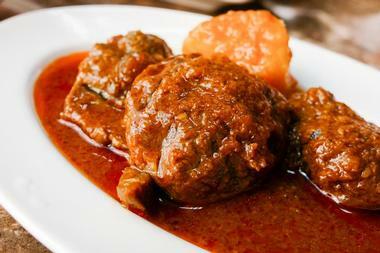 Dine on authentic Burmese and Mandarin cuisine at Burlingame’s Mingalaba Restaurant. Enjoy the authentic dining experience which uses a range of spices and flavors to serve mouth-watering dishes to their patrons. You can feast on your choice of entrees with some of the main staples being their array of noodles and fried rice. Have an order of Burmese-style yellow beans fried rice, coconut rice, or saffron rice with delectable concoctions such as basil spicy beef or rainbow chicken which is tossed with pineapples, mangoes, and vegetables. Don’t miss out on the delicious appetizers as well; their Burmese samosas, egg rolls, pot stickers, and rolling lettuce chicken make great additions to the perfect meal.